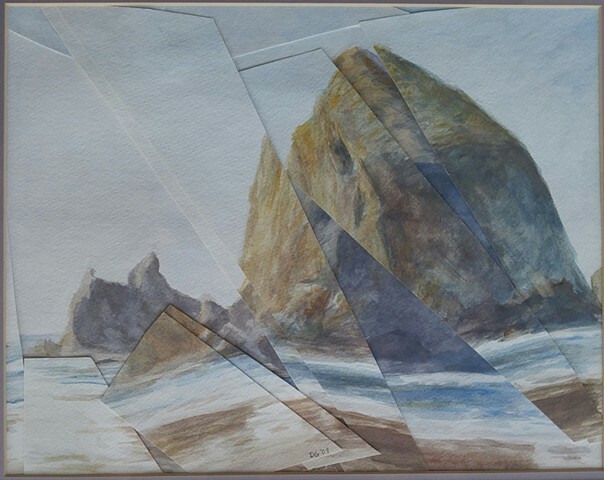 In 2009, I made 3 attempts to create a watercolor off a photograph I'd taken of Haystack Rock near Pacific City, OR. I repurposed the pieces. 6 years in one of my earliest experiments in collaging my own watercolors.